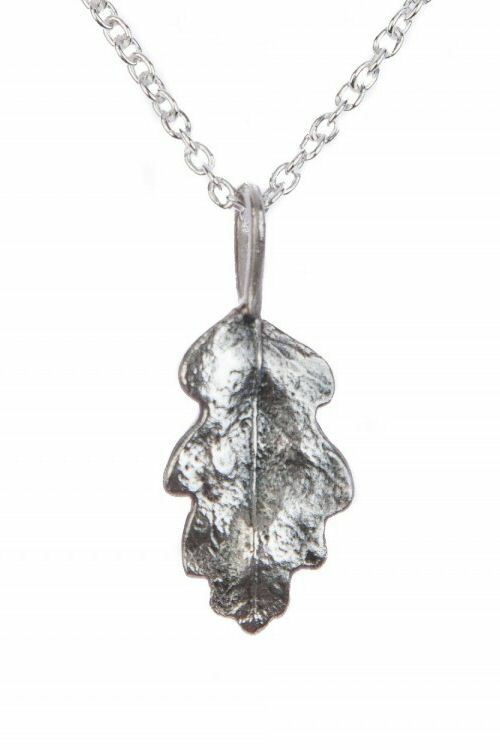 This tiny leaf was found shooting from a fallen branch, picked and taken back to the studio it now has a new life cast in solid silver. The finest details are highlighted through darkening the silver before a final polish. 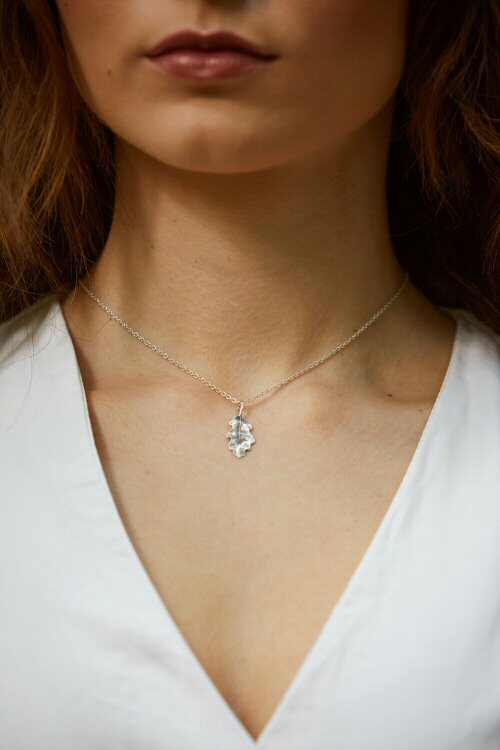 The pendant is 2.5 cm in length, including the link. 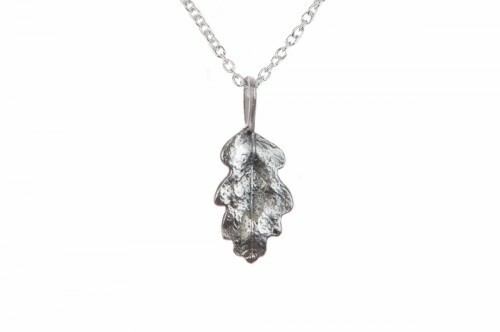 The oak leaf pendant has a highly polished back, it carries a Birmingham hallmark. 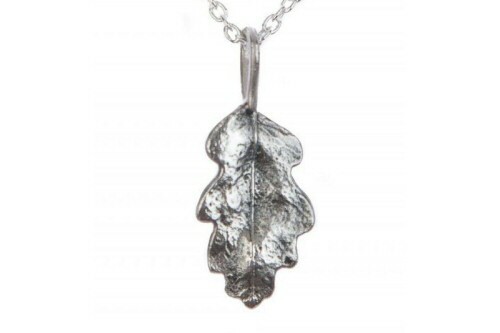 This oak leaf is perfect on its own or it can paired with an acorn pendant.